Reigning Champ - Los Angeles — Addicted To Retail, Inc.
Addicted To Retail (ATR) presents: Reigning Champ on La Brea - Los Angeles. 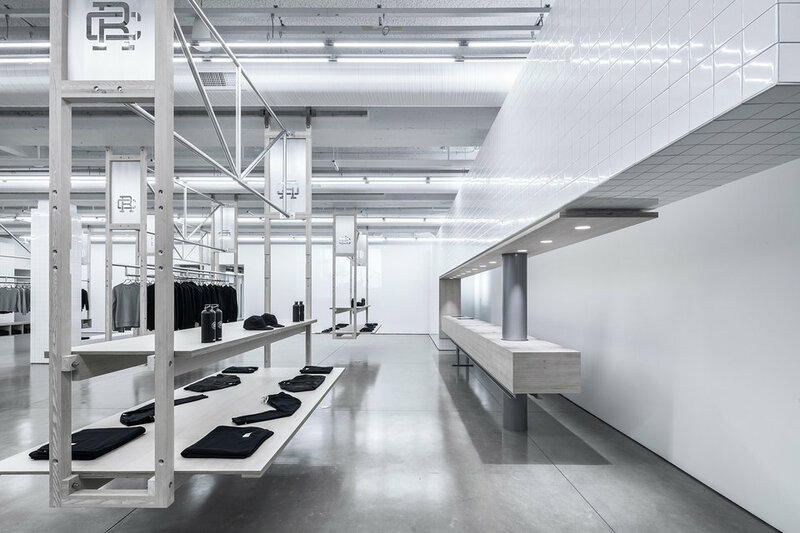 Vancouver-based retailer Reigning Champ is crossing the border to open their first flagship store in the U.S. Located on Los Angeles' La Brea Avenue, the 6,000-square-foot space is a reflection of the brand's athletic mindset. The interior's lofty ceilings and polished concrete floors lend themselves to a gym-like atmosphere. Clothes are displayed on custom-made modular shelving suspended from exposed concrete beams. 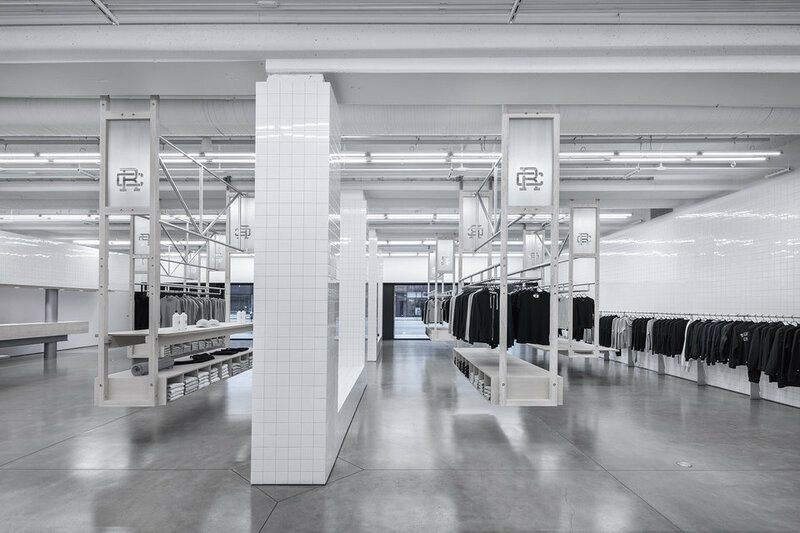 Using the same design philosophy in their store as in their clothes, the combination of glossy white subway tile, steel, and Western Hemlock — a nod to their Canadian roots — creates a minimalist aesthetic that both respects the details and masters simplicity.